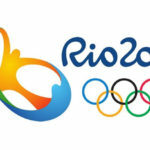 Wow, what an Olympics! 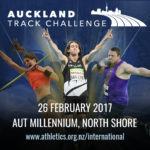 New Zealand finish with four athletics medals with veterans Nick Willis and Val Adams coming through yet again and new kids on the block, Eliza McCartney and Tom Walsh, picking up two fabulous bronze medals. We recap the action breaking down how each of the Kiwi medals unfolded, taking a moment to stand back and acknowledge how awesome our Olympic team was this Olympiad. We also cover off local results from Xterra Waharau and regional road champs. In training talk we offer the Top 5 Performance Enhancing Tips (that don’t involve doping and are perfectly legal). 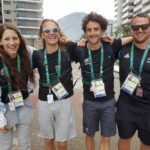 This entry was posted in Kiwi Running Show, Uncategorised and tagged Eliud Kipchoge, Eliza McCartney, Hamish Carson, Julian Matthews, Lucy Oliver, Mo Farah, Nick Willis, Peter Snell, Rio Olympics, Tom Walsh, trail running, Usain Bolt, Val Adams, Xterra. Bookmark the permalink.